Start your engine! 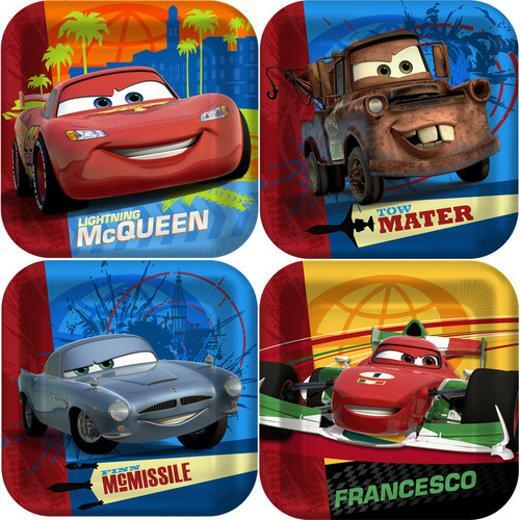 These awesome 3D Disney Cars 2 Dessert plates measure 7" x 7" square and are sure to bring screams of excitement from the party crowd. When viewed with the 3D glasses (sold separately) these party plates will rock your world and bring your party to life! Each package contains a total of 8 paper plates in 4 designs. L: 7.0 in. W: 7.0 in. H: 0.4 in.